We study functions of bounded variation with values in a Banach or in a metric space. In finite dimensions, there are three well-known topologies; we argue that in infinite dimensions there is a natural fourth topology. We provide some insight into the structure of these four topologies. In particular, we study the meaning of convergence, duality and regularity for these topologies and provide some useful compactness criteria, also related to the classical Aubin–Lions theorem. After this we study the Borel \(\sigma \)-algebras induced by these topologies, and we provide some results about probability measures on the space of functions of bounded variation, which can be used to study stochastic processes of bounded variation. This research has been funded by Deutsche Forschungsgemeinschaft (DFG) through Grant CRC 1114 “Scaling Cascades in Complex Systems”, Projects C08 “Stochastic Spatial Coagulation Particle Processes” and C05 “Effective Models for Materials and Interfaces with Multiple Scales”. L. Ambrosio and R. Ghezzi. Sobolev and bounded variation functions on metric measure spaces (lecture notes). http://cvgmt.sns.it/paper/2738/, 2016. S. Di Marino. Sobolev and BV spaces on metric measure spaces via derivations and integration by parts. http://cvgmt.sns.it/paper/2521, 2014. R. I. A. Patterson and D. R. M. Renger. Large deviations of reaction fluxes. 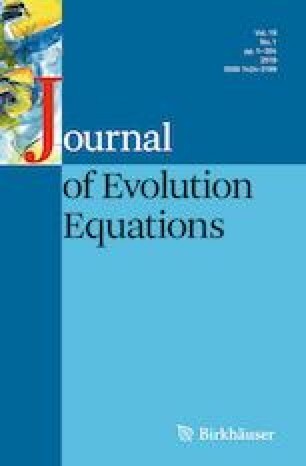 arXiv:1802.02512, 2018.